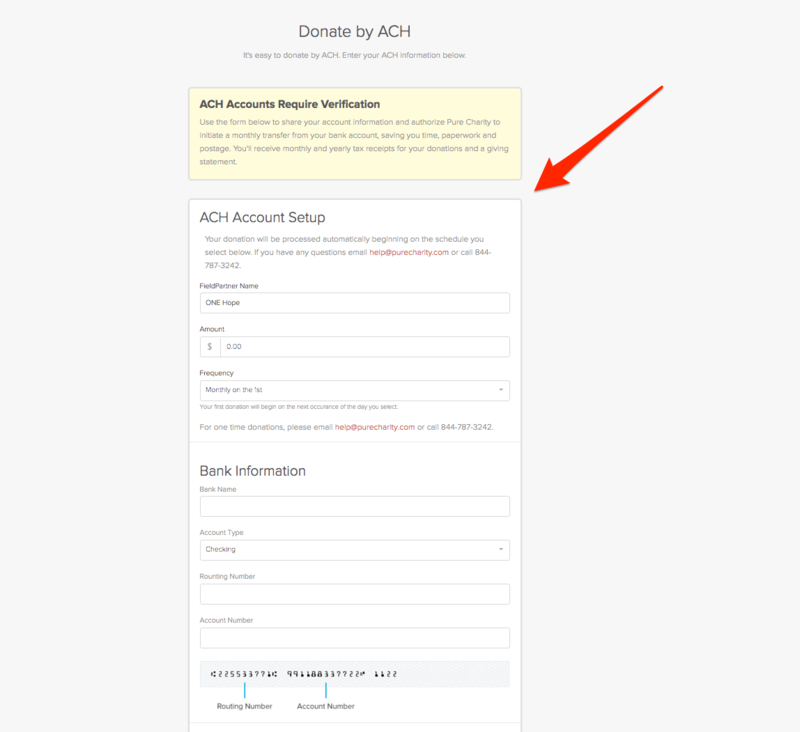 Once signed in, click "Pay by ACH" on the checkout screen 4. Fill out the entire form & hit complete! 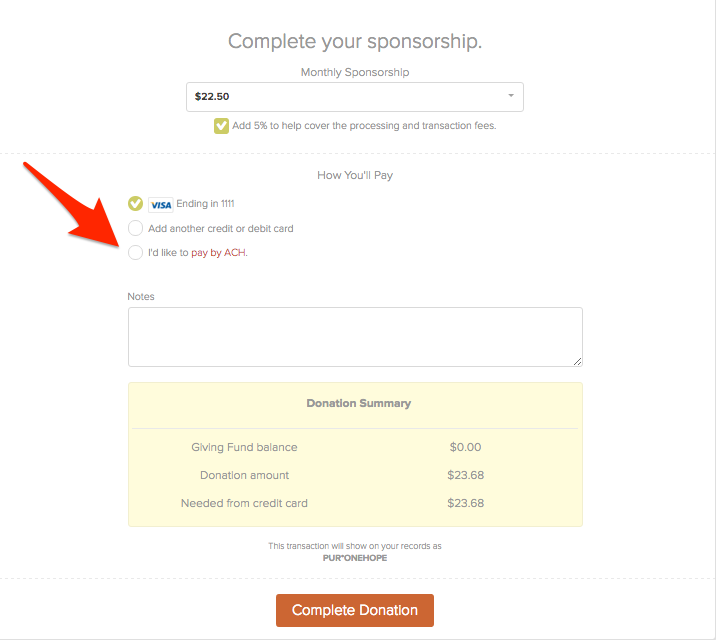 Your recurring donation will be set up & processed with Pure Charity.